The Redhawks enter the tournament on a roll as the fourth seed after their two best victories of the season. They open play Wednesday night against Missouri-Kansas City. 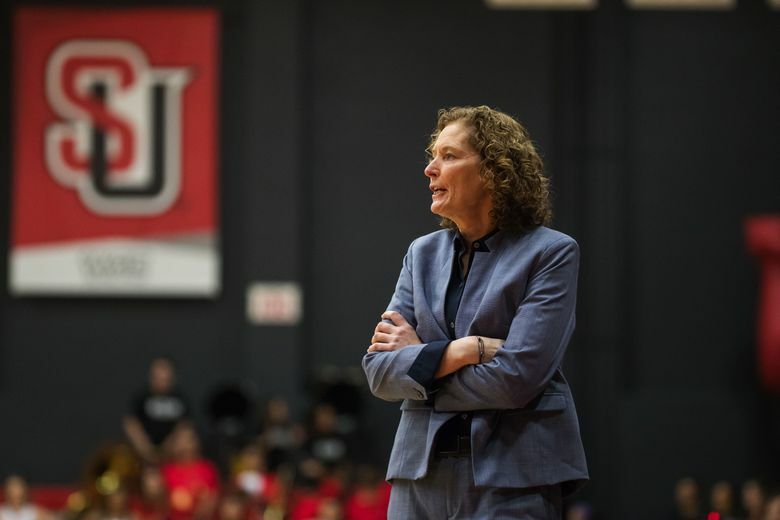 Coach Suzy Barcomb would have preferred a more even ride to the regular season for the Seattle University women’s basketball season, but at least the Redhawks are on the right spot on their roller-coaster journey. Seattle University enters the first round of the Western Athletic Conference tournament with momentum, coming off two of its best wins of the season, a 64-56 win over Cal State Bakersfield, which had been leading the conference, and an 83-53 victory over Utah Valley. Those wins came after three straight losses, and gave Seattle U (15-14) the fourth seed in the WAC tournament with a 9-5 record. It opens WAC tournament play against Missouri-Kansas City at 8:30 p.m. Wednesday in Las Vegas. The winner of Saturday’s title game will get an automatic bid into the NCAA tournament. Seattle University looked to be in a good spot, starting the WAC season 7-2, but a 69-67 overtime loss to Texas-Rio Grande Valley began a three-game slide. Then, when things looked bleak, the Redhawks beat Bakersfield, which was 10-2 at the time and leading the conference. An experienced player who will need to come through for Seattle U this week is senior star Alexis Montgomery, who leads the WAC in scoring (19.4 points a game) and rebounding (10.3). Seattle U swept two games against fifth-seed UMKC (11-18, 7-7) this season, winning each by four points. The Redhawks split games against the top two seeds, New Mexico State and Cal State Bakersfield. So Seattle University is more than capable of making a run this week. But Barcomb knows that won’t be easy. “Nothing is given to you in the WAC, and especially in the WAC tournament,” she said.